I’m what you would call a gamer in the credit card world. I look for the best rewards and make sure to pay my bill off in full each month so I never pay interest. There are so many credit cards out there, all offering the latest, greatest deal. If you are currently using a credit card that offers no rewards and pay your credit card bill completely off each month, I would recommend looking into a rewards credit card like the Virginia Credit Union Flex Rewards Mastercard® which offers points for purchases or the Cash Rewards Mastercard® which gives you cash back. Whether your team points or team cash back, I have the same rules when finding the perfect card. Be disciplined - Every store you go to nowadays has their own card with a tailored reward. If I got a credit card every time a cashier asked me to open one up, I would have hundreds of cards and probably be in massive debt. Keep the store cards to a minimum and only get cards at places where you make a lot of consistent purchases. Pay your credit card off in full every month – I can’t stress this enough. If you get a rewards credit card, most likely the interest rate is a bit higher than others. If you don’t pay your card back each month, the interest will far outweigh the rewards you get. 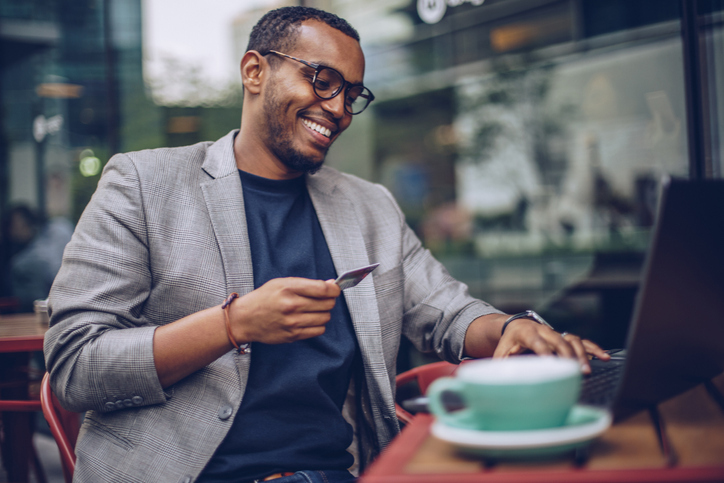 If you tend to leave a credit card balance, I would highly recommend nixing the rewards card idea and going for something more practical like the Virginia Credit Union Essential Mastercard®. It doesn’t give you the rewards but it has the best credit card APR at Virginia Credit Union and will probably save you more in the long run. Pick a main rewards card – Here’s where you should choose whether you like points or cash back. Once you make the decision, rather than rotating purchases amongst multiple rewards cards, I recommend using one card as your workhouse. It makes it much simpler to pay your bill and see how much you spend each month. Don’t get a card with an annual fee – Maybe I’m not getting the very best deal but I just don’t want the added stress of paying an annual fee to get rewards on my credit card. Paying an annual fee just to buy things just doesn’t sit well with me. Check out the card opening incentive – When I get a credit card ad in the mail, I’ll stop and look at the incentive. If the deal is just too good to pass up, I say go for it. As a gamer, I’ll do what I need to do to get the incentive and then I’ll move the card to my barely used file or shut it down. I’ve only done this two or three times though as it can become overwhelming. Also, it’s not good for your credit if you start opening up cards for every deal you get so keep this technique to a minimum. When I’m making my purchases this holiday season, I’m reaching for my Virginia Credit Union Cash Rewards Mastercard. I use it for almost every purchase. What’s even better is that I can now redeem the cash back at any point and either apply it to my credit card bill or my VACU checking account. As you can guess, I’m a cash back person. I’ve used point’s cards in the past and its fun to redeem a gift card but to me, I find the cash back cards are simple and flexible to my spending. Virginia Credit Union’s Flex Rewards Mastercard is a credit card that gives you points. If you’re a traveler and frequent a lot of restaurants, I would say this card is worth investigating. To me, a Dad with two small children, I’m spending more on the essentials rather than luxuries so getting cash back is a better fit for me.